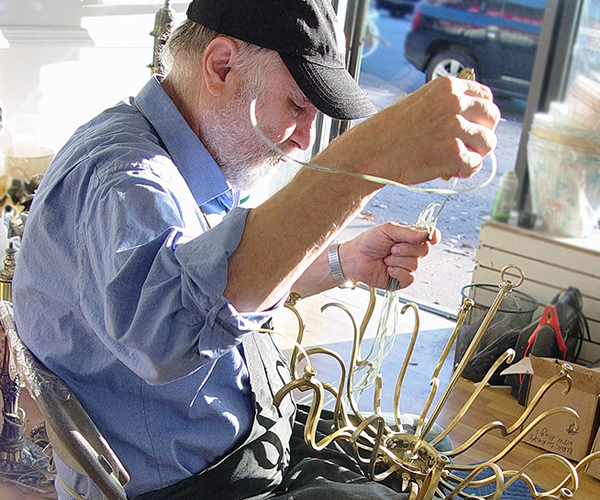 ﻿ Brooklyn Lamp Repair NY - Lighting and Chandelier Restoration, Rewiring, Parts, Etc. No need to take down your lighting fixture just to get an estimate. We can usually provide an estimate by email and in some cases we can come to you! Just fill in the form below. Welcome to Lighting for You Lamp Repair and Restoration! We are a 3rd generation chandelier and lamp repair company. First established in the 1920's, our great grandfather passed down his knowledge, expertise and love of the trade. From the smallest chandeliers, lamps and lighting parts to grand scale- we are committed to serving you with a satisfaction guarantee. Our team includes a passionate lighting technician who with over 30 years of experience rewiring, restoring and repairing vintage, antique and modern chandeliers to bring them back to their original beauty. He is exceptional at repairing what others say is impossible. Need assistance? We are here to help. Simply fill out the form to your left to send us a message.